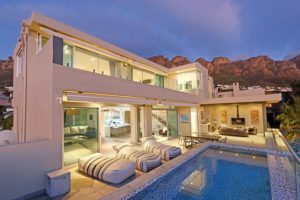 Cape Town beach villas put you in a privileged position to explore not only the city’s most famous attractions, but also the lesser-known treasures that are waiting to be uncovered. 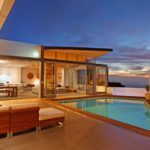 This list of beach holiday rentals has some exclusive insider information about the little-known spots most travel blogs won’t tell you about! 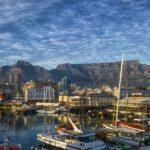 While you’re holidaying in one of the Cape Town beach villas along the Atlantic coastline, you’ll find the sightseeing options are limitless – Table Mountain, the Waterfront and the local beaches are all within easy reach. 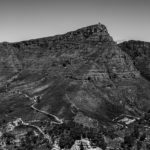 Visit a variety of Atlantic Seaboard beaches and hotspots on a Cape Town Red Bus Tour – it has been called the best way to see CT! This hop-on-hop-off bus route stops at 11 popular locations across the peninsula. But what if you’re looking for something a bit off the beaten track? 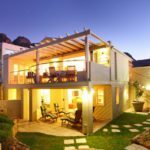 When you check into any of the beach holiday rentals on this list, you’ll be privy to the secrets hidden in the surrounding areas – there’s a lot more to Cape Town than sand and sea! If you’re asking yourself, “Where can I rent the best beach villas in Cape Town?” the luxury apartment rental specialists at Capsol have 8 suggestions, each with their own special appeal. Browse these exquisite Cape Town beach villas and you’ll soon discover there’s more to them than you ever realized. The villa: In this three bedroom apartment, take in 180° views of Clifton’s beaches and the pristine Atlantic Ocean. There’s room for 6 in this fully equipped self-catering holiday apartment, so you can share those sunset views with those who matter most. The secret: What sets Clifton Court apart from other Cape Town beach villas? It’s just minutes away from Fresnaye Rock – a large flat rock hidden at the end of Ocean View Drive, which gives you an amazing vantage point over Clifton and Camps Bay. It’s perfect for an intimate picnic for two. Clifton Court Apartment is also a minute’s walk from Clifton Second Beach. The villa: Give yourself the VIP treatment at the upmarket Glen Penthouse. This local villa boasts million-dollar beach views, a sparkling pool and an indulgent Jacuzzi bath. One of the few Cape Town beach villas available in the tiny enclave of Glen Beach, this penthouse apartment can accommodate 4 lucky holidaymakers. The inside scoop: While the busy Camps Bay beaches are beloved by sunbathing crowds, secluded Glen Beach is a surfer’s paradise, attracting a select group of local boarders. So, slip into your wetsuit and ride the most exclusive waves in town! The villa: In this two bedroom holiday apartment, you’ll find Llandudno beach mere steps from your front door. Greaves Two – sleeps 4 and makes a lovely holiday hideaway for 2 couples or a small family looking for a private sandy getaway. Special feature: The villa’s Queen bedroom has a sea view, setting the scene for a day of luxury from the moment you open your eyes. Look onto the sands of desirable Llandudno beach from your bed – this is something only a select few Cape Town beach villas have to offer. The villa: This is a three level Hout Bay holiday home designed to accommodate 10 people in the lap of oceanside luxury. Spend the day at play on the beach, enjoy a braai with a view, then sink into your king sized bed and listen to the waves tease the shore. 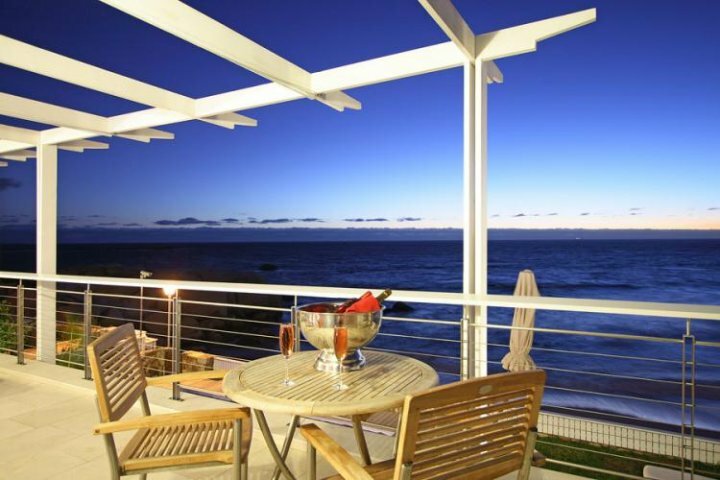 Cape Town beach villas don’t get more exclusive than this! A Hout Bay secret: Thyme Villa is 2 minutes from the beach and the historic Hout Bay harbour. This is one of the Western Cape’s busiest fishing harbours, where you can buy a fresh catch straight off the boat, and take it home for a tasty fish braai. The villa: You and 7 friends will settle into this 4 bedroom beachfront property in real style. Beta View has direct access to the tranquil little beach of Bakoven. This is the ultimate spot for some privacy and relaxation – and a favourite for painters and authors. Bakoven Beach is only accessible to locals, so your stay at Beta View will give you a truly unique holiday experience. The hidden treasure: When you stay at one of the Cape Town beach villas of Bakoven, take the opportunity to discover the world beneath the waves. Bakoven is a premium SCUBA diving location, for kelp forest exploration and rich marine life encounters. The villa: This 2 level beach house accommodates 6 adults and 2 children. It’s a step down to the sand – you couldn’t ask for a closer beach location. 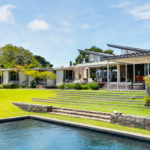 It’s one of those Cape Town beach villas that connects you with nature while still providing a touch of luxury. The magic of Misty Cliffs: This is one of Cape Town’s wilder beaches, with a windswept beauty that will capture your imagination. As the name suggests, it is often shrouded in a sea mist. You’ll find Misty Cliffs holds a wealth of surprises – take a walk through the white dunes, visit the local lighthouse, or make the meandering drive to the nearby surf village of Scarborough, and see if you can spot the iconic camel-shaped rock. The villa: Willoughby Villa is a nature-lover’s dream, with a large manicured garden and mountain views. Up to 10 people can relax in this homey villa, nestled in the green valley of Noordhoek on the South Peninsula. Discover something new: While many love Noordhoek beach for its surfing and horse-riding activities, there’s an extra something special – a historic shipwreck dating back to the year 1900. Check out the shipwreck of the SS kakapo on the local beach and you’ll experience the “Cape of Storms” as it once was. 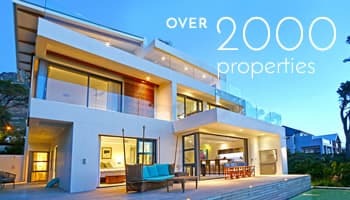 The villa: One of Blouberg’s sky-high Cape Town beach villas – Blouberg Heights is a 14th floor apartment that gives you a bird’s eye view of your surroundings, with Table Mountain as a dramatic backdrop. This luxury apartment sleeps 6 and is 80m from a private local beach. Something a little different: Fancy foraging for your own seafood dinner? Blouberg locals know the area is a prime spot for mussel-picking. With a recreational fishing license, you can harvest black mussels off the Blouberg rocks, or search for elusive white mussels hidden in the sand! Whatever adventures your Cape Town vacation leads you on, rest assured there will never be a dull moment if you spend your time on the coastline.